It’s not very often that a Tony Pulis side is the establishment figure in a tie, the team with the greater pedigree, the team expected to win. There’s something of the incongruous in this assumption, like dressing a scarecrow in a well-tailored suit; sure it will hang there but it just won’t look right, to say nothing of infringing upon the scarecrow’s human rights but that’s another 5am story altogether. The truth of the matter is, more than nearly any other manager, Tony Pulis revels in the ‘underdog’ status. It’s not that sending out his teams all gentle and meek like lambs to the slaughter. No, he’ll let them know in no uncertain terms that they’re every bit as good as their opponents and, if they follow his instructions to the letter, they’ve a better chance of getting something from the game than the bookmakers would ever give them. For Pulis, the ‘underdog’ tag is analogous to the wooden horse of Troy. Watching them play Liverpool last week, one was struck by their ability to stick to their man, never allowing Liverpool to settle, teammates covering space that another has left. It was the basics of defensive football done to near perfection, aggressively pro-active rather than deep and reactive. And, as one would expect of a Tony Pulis team, very full-blooded in the tackle, as Dejan Lovren’s battered knee might tell you. But, as alluded to above, this tie sees them as favourites, an established EPL team hosting a recently promoted one. Bournemouth have arguably had the most sensational couple of weeks in their 125 year history by beating both Manchester United and Chelsea. Gripers might point out that both these giants are totally out of form but when such a small club claims six points from two such games, it’s nothing short of a Christmas miracle. Except, of course, it isn’t. Bournemouth’s displays this season have rarely been sub-standard and an optimistic take on their last two matches might say that the results are just beginning to match their performances. Whether or not that is true, it would take Mourinho a mean-spirited man to claim that they weren’t worth both those wins but the flip-side to this is that they have flagged their potential and West Brom are unlikely to be caught napping. 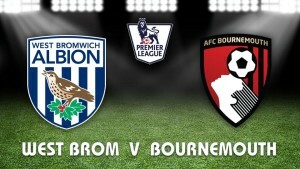 In West Brom’s favour, Bournemouth’s style means the hosts are unlikely to play the role of the stereotypical home team and force play on the front foot, therefore can approach this game in a manner not too dissimilar to the one which served them so well against Liverpool. In Bournemouth’s favour, they’re on a high, winning matches and scoring goals. This column reckons that a draw might be the likeliest outcome here. BWIN are offering the best price on that outcome at 12/5. Dear, oh dear, what ever has befallen the mighty Utd? Anguished roars of insurrection are floating on the wind in Manchester as fans and ex-players line up to bemoan the current state of affairs. Gary Linekar went so far as to wonder out loud whether Utd have turned into Liverpool, which is to say the Liverpool that has been on display ever since Graeme Souness took over the reins in Anfield during the early 90’s – a truly terrifying thought for any Utd fan. Possibly a hilarious one for everyone else but let’s try to be mature about this. It’s now five games without a win in any competition for Utd and their last day out saw them beaten by Bournemouth. It seems that this was the straw that broke camel’s back in terms of fans’ patience. As mentioned on these pages last week, although Utd have been turgid of late, they have been able to point to a very mean defense by way of mitigation. Unfortunately for them, said defense has been breached five times in their last two games and with it, the hopes of many a fan. This column is about to needlessly stick its neck on the line and state that, if they can get their defense back in order, they are still in with a decent shout of winning the league; a stream of 1-0 wins and 0-0 draws will do nothing to excite the senses but might well be good enough to claim the title. Like many teams at the halfway point of the season, they are struggling with injuries but a team with such vast resources at their disposal really should be able to deal with that better than most. 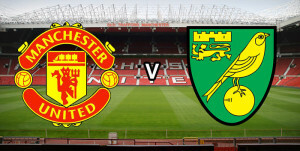 Utd could hardly have hoped for a better team to face in their quest to get back on track than Norwich. The Canaries have struggled so far this season and are third from bottom, just one point behind Chelsea. They had been going reasonably well until an extremely cavalier style away at Newcastle saw them lose 6-2. This result seemed to scare the bejaysus out of manager Alex Neil and he subsequently re-ordered his charges in a far more defensive manner. Unfortunately for him, although they have tightened up at the back in the seven league matches since, scoring goals has been a problem and they have managed just a solitary win although in their most recent clash, they did earn a creditable draw against Everton. On the plus side, Norwich go into this game knowing that Utd are shorn of much of their first choice back four and must fancy their chances to grab a goal from a set-piece or defensive blunder. Chances are that they won’t be unduly worried about Utd’s attacking potential either, plodding along as it does. This column would dearly love to go for a Norwich win but that would mean ignoring their form up to this point. However, it takes no leap of the imagination to see Utd struggling to break them down and for that reason, a draw might be the likeliest result here. The best price for that can be wrangled from Betvictor at 18/5. Might this be referred to as the Clash of the Titans? If it weren’t for those pesky Leicester lads hogging top spot then it might be. In lieu of that, we’ll just refer to it as 2nd v 3rd. It’s a tired, old question at this stage but could this be Arsenal’s year? For over a decade now, the Gunners have been perennial residents of the Top Four but have largely avoided tenancy in the castle at the top of the hill which seems a tad odd. It’s an oft-repeated truism that when they are on top of their game, there’s not a team in England who can touch them but sadly, this form is ephemeral, usually felled by the reliable spectres of injury and bottle, or lack thereof. Is anything different this year? Arguably it is. Arsenal managed to outdo themselves by losing their opening two games in the group stages of the Champions League and yet somehow managed to find a resolve steely enough to see them claim second spot and qualification for the knock-out rounds. To be sure, Arsenal have had more false dawns than an Arctic inhabitant at the close of winter and, coupled with a sizeable injury list, it’s still well within their grasp to make a hames of things yet. But as puzzling as Arsenal so often are, Manchester City are beginning to develop their own canon of confusion. True, they too have managed to get to the knock-out stages of the Champions League but in a season where many people expected them to be kick-on, especially in light of the Chelsea melt down, they have been spluttering and stuttering, losing a quarter of their league matches thus far. Luckily for them, the league is such this year that it hardly matters and their form has been good enough to see them sitting in 3rd. The reasons for Arsenal’s mishaps and misadventures over the years have been well documented but what of City? They literally have some of the best players in the history of the EPL (specifically Aguero and Silva) and a roster of quality that would be the envy of nearly all bar the very best teams in Europe. Consensus and stats seem to agree that the continued absence of captain and defensive lynchpin, Kompany, has been massively detrimental and it is true that there’s something of the Laurel and Hardy about the defensive ‘nous’ of both Otamendi and Mangala. Still, given that they have outspent the GDP of many an impoverished state on recruiting high-quality players over the course of the last few seasons, one would expect slightly more than what they have produced thus far. Of course, money is not a guarantee of success but it does greatly increase one’s odds in that regard. However, with such an oily largesse, it’s hardly surprising that the charge of ‘mercenary’ has been leveled at some of the players. It’s an odd phrase to apply to a footballer because they are professionals and so need to be paid for their efforts but the suspicion is that some of these players don’t possess the necessary fight to really hunker down and do the dirty work, safe in the knowledge that the cash will keep rolling in regardless. Given the respective quality of both teams, this could be an excellent match. It’s a very difficult match to call but this column reckons that Arsenal might just edge it but with Aaron Ramsey now in the centre of the pitch, Flamini is going to have his work cut out dealing with City’s front four. Having said that, Giroud is having a great time in front of goal lately and looks likely to add to his tally. Arsenal to shade the win can got for 13/8 from MarathonBet but for those who fancy a draw, there’s some nice prices out there, too.